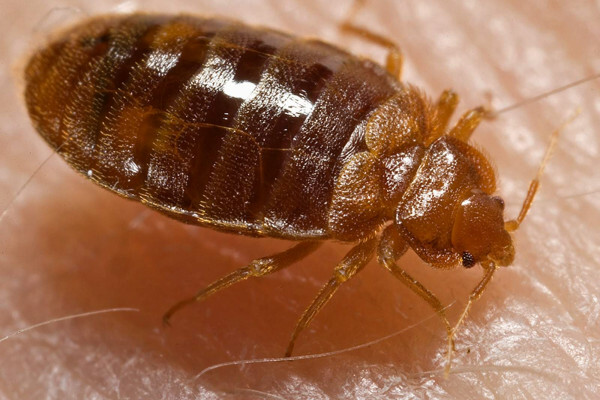 The recent resurgence in bed bug infestations taking place in western countries is owing to the biting insects being re-imported from abroad rather than reoccuring locally. North Carolina State University's Coby Schal analysed the genetic diversity of bed bugs collected from outbreaks along route 95 on the US East Coast. Coby - Because we found this extremely high genetic diversity in populations along the east coast, that should suggest to us that there are multiple introductions of bed bugs coming into the United States for multiple sources and that sort of pattern would argue against local resurgence of bed bugs. It suggests that they're coming from other places. It's difficult to place the blame on any one group, but I think international globalisation and commerce, and increased transport are very likely involved. annual meeting of the American Society of Tropical Medicine and Hygiene, December, 2011. An - Compared to women who do not do any rotating shift works, women who have already done 1 to 2 years of shift work has about 5% increased risk. For women who do 3 to 9 years shift of work, the increase rate jumped to about 20% increase risk and they will go higher, more than 20 years of rotating shift work the increase rates go about 60% increase. Body weight explains a lot of associations people who do not shift work gain more weight during the follow up, compared to women who do not do shift works. Non-receptive female fish resort to hanging out with a more attractive counterpart to divert unrequited male mating advances away from themselves. Working with guppies, Exeter biologist Safi Darden found that, given a choice, females for whom the time wasn't right would actively seek out a fitter female for company. Safi - Now that we knew that females would receive less attention if they were with a more sexually attractive female, did they actually actively make this choice to spend time with a more sexually attractive female to avoid male attention? And when we gave females that weren't receptive to male attention, the choice to swim next to a more attractive female or an equally attractive female, we found that she preferred to swim in close proximity to the more attractive female. When we test that fish that were receptive, they didn't have any such preference. And this has important implications for how these and other fish organise their social hierarchies. It was published this week in the journal Proceedings of the Royal Society B.